Hello friends! 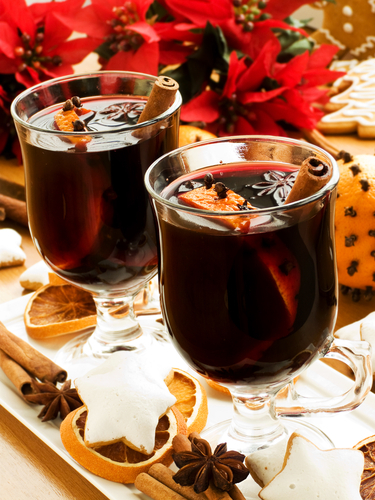 Thanks so much for dropping by today to see my Mulled Wine Recipe for the Holidays! Last year I posted about the origins of Christmas in July so I won't go into that again today but if you would like to read more about Christmas in July just click here. This year I will be making the same kinds of festive treats and I will decorating the house with just a few things to put us in the Christmas spirit. I've also decided to make mulled wine again as it was so delicious and warming last year. 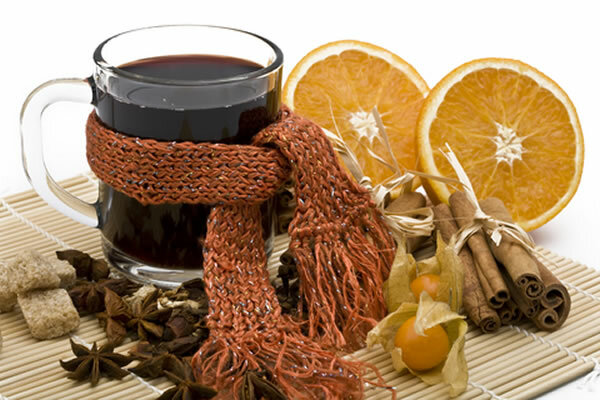 Mulled wine, variations of which are popular in Europe, is wine, usually red, combined with spices and typically served warm. It is a traditional drink during winter, especially around Christmas and Halloween. Mulled wine, aka gluhwein, glögg, vin fiert or vin brulé, is drunk in many European countries around Christmas, but it is particularly associated with German and Nordic traditions where so-called “glogg” parties are a holiday season staple. It is usually prepared from red wine, heated and spiced with cinnamon sticks, vanilla pods, cloves, citrus and sugar. Glühwein is drunk pure or "mit Schuss" (with a shot), which means there is rum or liqueur added. The French name is vin chaud (hot wine). I used a recipe from Jamie Oliver and so I thought I would share the recipe today because, as he says, it's "Christmas in a glass." Peel large sections of peel from the citrus using a peeler. Put the sugar in a large saucepan over a medium heat, add the pieces of peel and squeeze in the clementine juice. Add the cloves, cinnamon stick, bay leaves and about 10 to 12 gratings of nutmeg. Add halved vanilla pod and stir in just enough red wine to cover the sugar. Let this simmer until the sugar has completely dissolved into the red wine and then bring to the boil. Keep on a rolling boil for about 4 to 5 minutes, or until the liquid transforms into a thick syrup. This creates a flavour base because the sugar and spices infuse with the wine. When the syrup is ready turn the heat down to low and add star anise and both bottles of wine. Gently heat the wine and after around 5 minutes, when it’s warm and delicious, ladle it into glasses and serve. 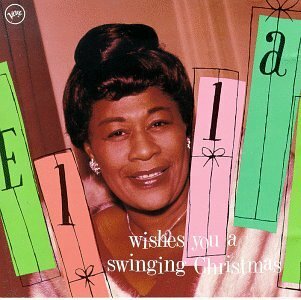 One song that will definitley be on my playlist for my Christmas in july party will be Ella Fitzgerald's version of Winter Wonderland with Frank DeVol's Orchestra. I hope that you enjoy today's wintery and festive tune! What is your favourite Christmas Song? Do you have any suggestions for songs that I might like to add to my Christmas playlist? I would love to hear your suggestions! I love that you are doing Christmas in July and so appreciate the recipe as I do love red wine. The links were great as well. I think my favorite around Christmas time is "I'm Dreaming of a White Christmas". It is more like Christmas weather where you are... at least the Christmas that I was used to. I love your beautiful pictures and the warm and cozy feel they bring. I'm putting your delicious recipe away until November. I've never tried mulled wine. It sounds delicious. Yup, that is my all-time favourite Christmas song. You got it in one! What a brilliant idea Christmas in July is! I've always found it funny that Australians I know in London talk about our Christmas feeling "like a proper Christmas". I'd always assumed that whatever you grew up with is what feels "proper" but I suppose all those cards with snow and roaring log fires seeps into people's psyches! We always have mulled wine at Christmas and although we use the same spices as that Jamie recipe we always include some spirit, such as brandy, as it really enhances the flavour. Finally (sorry this is turning into a blog post!) a Christmas song I love is Christmas Wrapping by The Waitresses. It always makes me feel really happy and festive. And anything from the Phil Spector's Christmas Gift Just For You LP. Merry Christmas! Wonderful pictures! I think my favorite Christmas song has to be O Holy Night. One of my favorite beverages to serve when I have a group coming during the holidays. I save your recipe, it sounds delicious.. Christmas in July for your Sunday Song is a way enjoy a little of my favorite holiday. HI Natasha! Oh, this sounds so wonderful to have Christmas in July!! Thank you for the recipe too. Hello my friend! So good of you to drop by to say "hey!" I'll have to get busy and add to "Sunday Song", have missed it since Christmas. Love the idea of Christmas in July...all year would suit me fine! Your Christmas in July party sounds fabulous! Have fun! Thanks for following the spoonful blog ~ I am always happy to meet new friends. My favorite christmas song.. tough one.. probably Christmas Canon's by the Trans Siberian Orchestra. With it being winter in Australia, Christmas in July makes perfect sense! Enjoy! I love your blog! I never know where to look first! And I love the Christmas in July...Love to you, keep going we love you!!! You do Christmas in July? Okay, now that is rocking! I do something similar for my birthday which is Christmas in September. I hope you won't be offended if I include a link. If so, feel free to delete the comment, okay? "All I Really Want for Christmas" - Steven Curtis Chapman. "Christmastime" - Michael W. Smith. "Christmas Cannon" - The Transiberian Orchestra. "God Rest Ye Merry Gentlemen" - Jars of Clay. "The First Noel" - FFH. "Do You Hear What I Hear?" - Third Day. And one of my all-time favorites is "It Came Upon A Midnight Clear" by Jerrytown (I posted it on Youtube). Man, but I love Dustin Christensen's voice...hope you like it too. Ella Fitzgerald? You've got taste! P.S. Sorry I didn't use the linky, buy I had far too many songs I liked..
Hi Natasha - What a great idea - when it's chilly out, Christmas holidays always come to mind! Joined the Sunday Song - sorry, but I can't actually link onto the hop becuz it keeps saying I'm not linking to my post directly - I linked/posted your Sunday Song button and code on my blog, though! Enjoy your Sunday and CIJ holiday! I've printed out the recipe and I'm going to be trying it out this Christmas! Thank you so much! Also, love the picture of Ella Fitzgerald, one of my favorites! I'm now one of your followers. Can't wait to see more of your inspirations. I've only tasted mulled wine once. It was Christmas time in Cumbria, England. And it was WONDERFUL!!! This looks like a wonderful recipe, I'll tuck it away for the December celebration of the season. Ooh this post really got me into the christmas spirit! My favourite is white christmas and other snowy songs which is rather silly since in Australia we have nice hot summery christmases! Thank you for your visit to my blog and for leaving a kind comment. I look forward to the visits. You've got me excited for Christmas! Hi Natasha, what a wonderful post. It is weird to think that our summer is your winter ... no wonder Christmas in July is a great idea. I love your photos and ideas, but thinking of Christmas right now is overwhelming, lol. Thanks so much for stopping by to say hello, I really appreciate it. I love Ella Fitzgerald. I also love listening to Christmas music throughout the year. It's hard to believe just 6 more months until Christmas. It will be here before we know it. How fun to do a Christmas in July party! 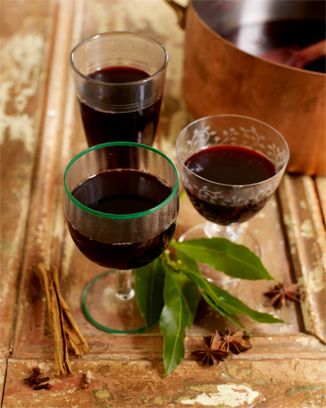 I've never had mulled wine, bet it smells (and tastes) wonderful! I'll take a glass of that wonderful wine!! My favorite Christmas song...that doesn't make me cry is Santa Baby by Ertha Kitt....not if you want to see me really cry...White Christmas...it reminds me of home! Delightful recipe to be tucked away until the snow flies around here....which would be a welcome relief from this gosh-awful heat. ugh! Very beautiful photos, Natasha...I especially like the one with the little scarf on the mug. CUTE idea!! HI Natasha! Thanks for stopping by! Your blog is so lovely! And this mulled wine sounds amazing! Love that you want to keep the spirit of Christmas throughout the whole year!! That is as it should be! Thanks for stopping by my Song of the Week. I love your blog! I'll be checking out your Sunday Song. One of my favorite Christmas albums is "Christmastime with the Judds" and I'm not even a big fan of country music but it's beautiful. I can't wait to make that mulled wine. Right now it's 90 degrees here so I don't think just yet! Oh, what a great rendition of this fun and COOL song for this HOT day in July! I do enjoy this particular Christmas carol so it's a special treat for our White Christmas in July fun. Thank you! Natasha, how wonderful to have you join in the party. When I saw your picture linked up I was thrilled. 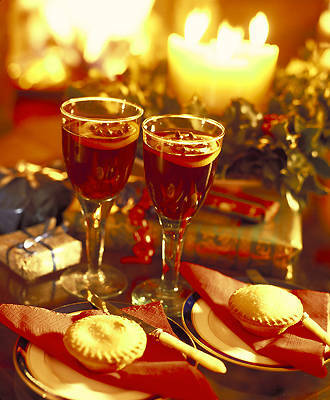 I would so love sharing some of that mulled wine with you. Yummy. I have so many favorite Christmas songs but my favorite is O Holy Night, especially when sung by Andrea Bocelli. I also love a new one I encountered a couple of years ago. It's by a band called Downhere and the song is titled How Many Kings. Absolutely beautiful melody and lyrics. Earlier today I posted about one of my favorite song writers, Irving Berlin and included one of his songs from White Christmas. I think I'll join you and link that post here. Thank you for dreaming along. Love and blessings, my dear. Beautiful! 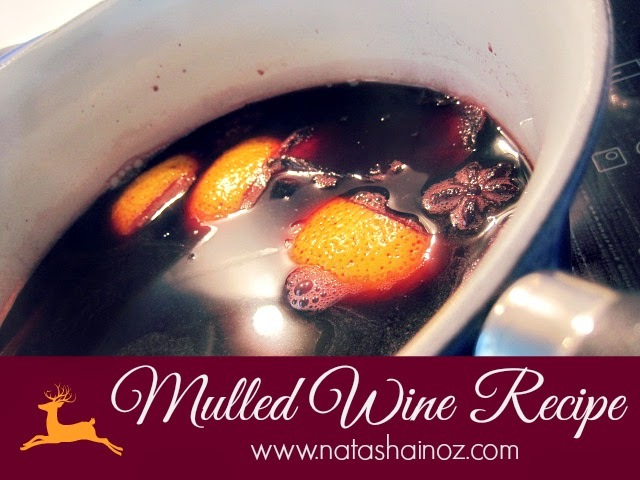 We do mulled wine in my home as well and I agree it is truly Christmas in a glass! There is just something about the smell, mixed with cranberries that fills the home. Beautifully done, thanks for adding this lovely post to the Christmas in July party.